CTA Green line Harlem/Lake stop. The restaurant is three blocks south. Turn east on Madison St.
CTA Blue line Harlem stop. The restaurant is four blocks north. 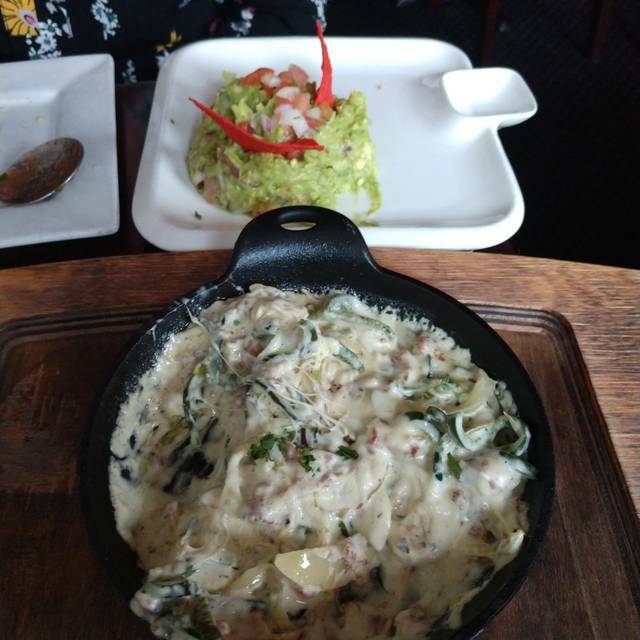 Turn east on Madison St.
New Rebozo, which is run by Chef Paco, serves traditional Mexican dishes that have received awards for their authenticity. 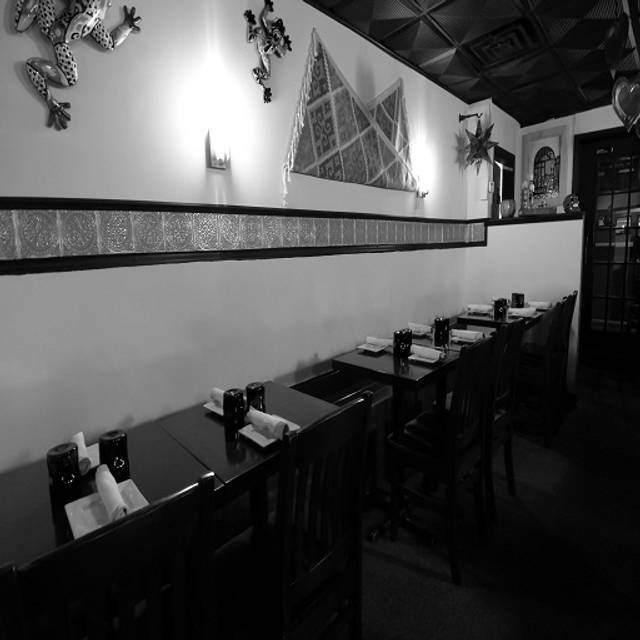 The menu is filled with a variety of spicy, sour and sweet flavors. These dishes are never prepared in heavy grease or pork fat, providing guests with healthier, more flavorful options to enjoy. 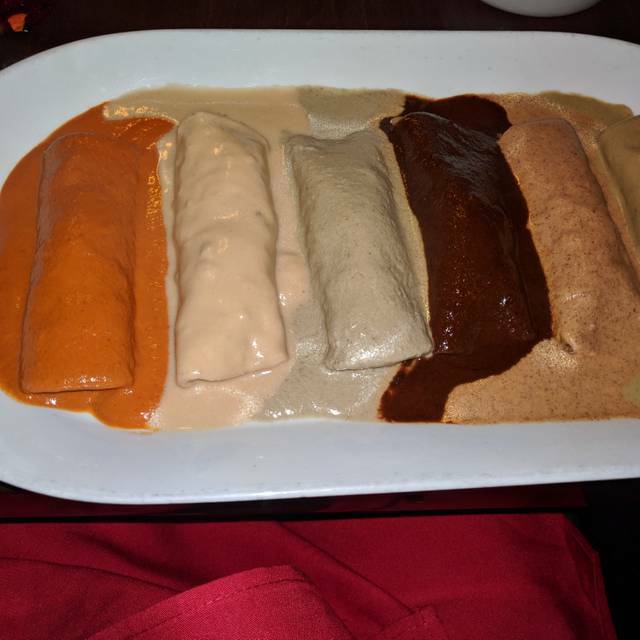 Diners can stop by and sample one of the 21 different moles, or opt for the Fiesta Mole that features enchiladas covered in six different moles. 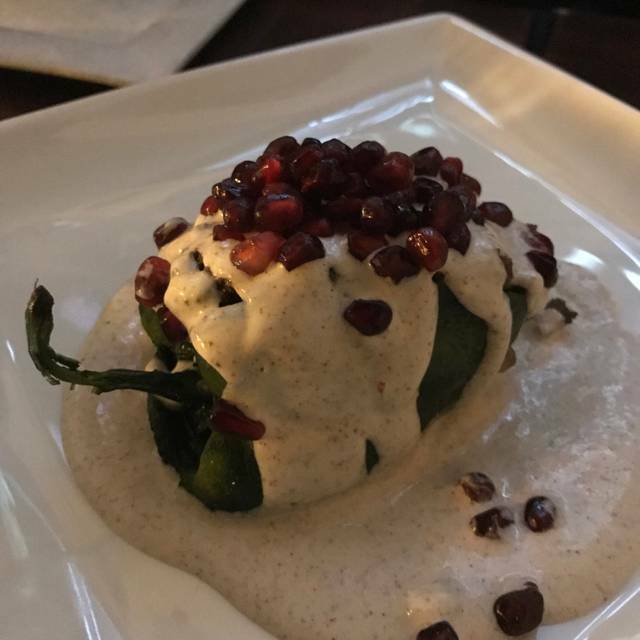 New Rebozo also features seasonal dishes that use traditional spices and local ingredients, like the Chile Nogada that's only available between September and December. Visitors to New Rebozo can also try a traditional margarita with their meals, or branch out and discover the pomegranate margarita for new and interesting tastes. 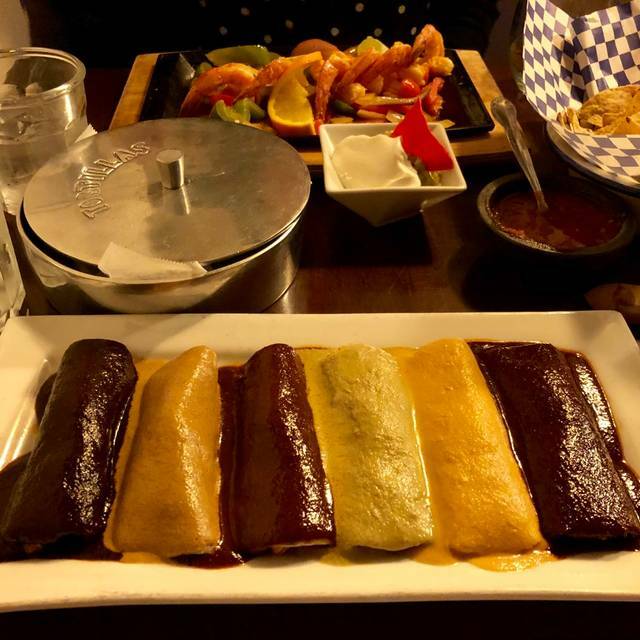 From appetizers to dishes, such as carne tampiquena and enchiladas Frida, there is an option available that everyone can enjoy. Friday Sauce Mild, Zapata Green spicy and sour, Pancho Villa Hot!! Flour tortilla filled with beans, cheese, lettuce, pico de gallo covered with Zapata sauce or Pancho Villa sauce "hot and spicy"
We've not been here for a few years, tried it again and were not disappointed. The food, ambiance and people watching were very satisfying. So often a "Mexican" restaurant will serve a generic menu that a general clientele has come to expect. The menu at New Rebozo is unique, with ingredients and flavors specific to indigenous regions. Also, we notice a lot of people of Mexican descent dining at the restaurant, another indicator of the quality and character of this restaurant. On a Saturday, it was quite crowded of course, with wait times even for those with reservations, but nobody seemed to mind. We also liked the express service of being able to pay our check at the table with the server scanning our card into his phone. Very convenient. The best Mexican food out there. The fiesta mole is amazing and I can’t pass up the tortilla soup. From Chef Paco to everyone that works here, the service is great. Chef Paco and his employees were amazing. Great customer service. Best restaurant I’ve ever been at. Food is great and authentic. Definitely going back to this place. Chef Paco is such a sweet, talented man. Fiesta Mole had cashew, hazelnut, sunflower, poblano, pumpkin, chocolate and a magnificent almond! Wow! Worth the price, the trip, everything! Chef Paco loves food and loves his guests. The special empanada appetizer with corn did not disappoint. 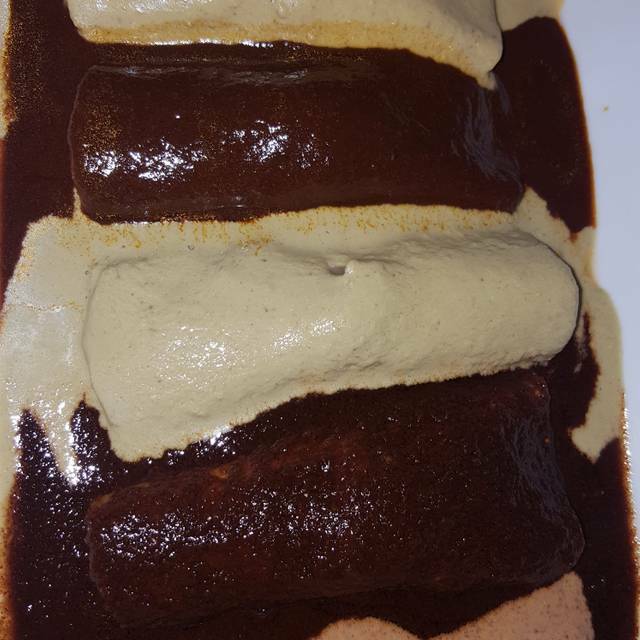 The mole special sauces were amazing--I had two that I'd not tried before, including one that was Paco's creation. My boyfriend had skirt steak, which was grilled to perfection. And I told him that my taking him to New Rebozo was a test of his taste...he passed. He loved it as much as I do, so now it can become our place! As always, delicioso. 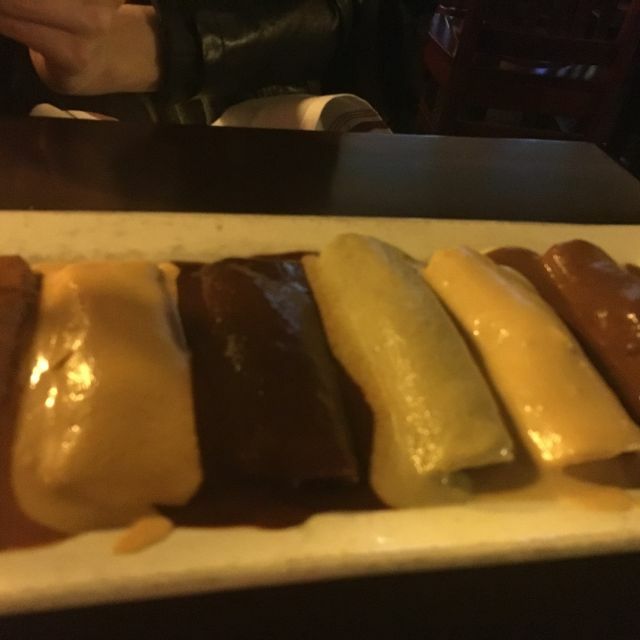 We have always had delicious dinners at New Rebozo and again were not disappointed. Service was great and we could not have more welcomed, treated like family. Una super experiencia haber comido en este restaurante ,la comida deliciosos el servicio espectacular,super amables ,el ambiente agradable. My husband chose to go here for his last minute birthday dinner. We secured a reservation 1 hour prior to arriving and it was such a pleasant surprise. From start to finish we had such a delightful time. The food was excellent. Appetizers and entrees were the special of the day and our drinks were the perfect match. I’ll definitely be going back to try all the different moles prepared by chef Paco. This is a must if you are in the area. Met Chef Paco who is very excited to tell you about his food! He was so much fun and very friendly. Food was spectacular. I just wrote an amazing review and it dropped. Paco is always there with his technology, “Oh My God”! Peter was too funny. I haven’t laughed that hard in a long time. Thank you Peter for taking pictures for us and making our visit so much fun! Oh, the food is always amazing! The servers seemed unhappy with their jobs. I did not feel welcomed there. My food did not have any flavor. Way over priced. Great meal, great place. Traditional Mexican with Chef Paco’s flair. You can’t go wrong at this restaurant. Very good restaurant.We Will definitely go back again . Chef was very helpful and explain all sauces . 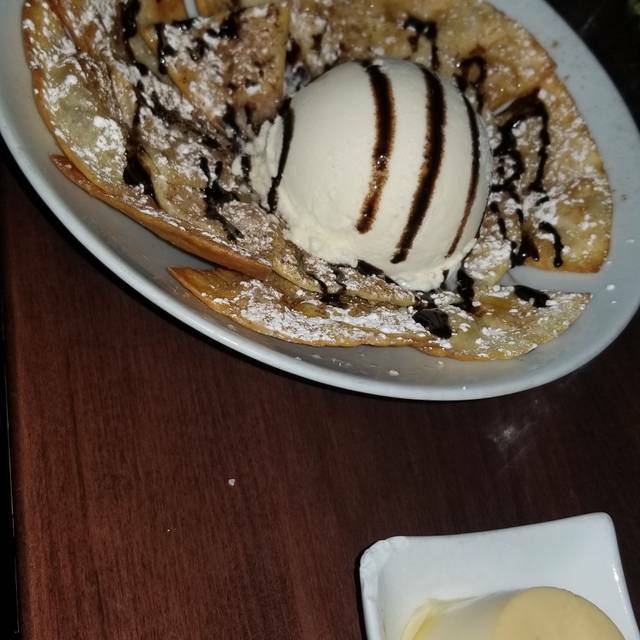 Great food and excellent service! We had fajitas and guacamole that were amazing. Food is delicious! Chef Paco & friendly staff make this a fun place for dinner. Love the seasonal specials which are always great!! Awesome as always! My family and I love this place and especially Chef Paco! A warm hug from the chef was the start of a great evening of tasty food and excellent service. Will definitely come again. It is always such a pleasure and wonderful experience dining at this restaurant. Chef Paco and his staff really care about what they do, and it shows. OMG.... do not hesitate to order the specials or a delicious margarita. Paco is always the consummate host and the food, especially the mole, is delicious. We’ve been coming here for 20 years, always great. A little cramped and noisy at times but but I highly recommend. I have eaten at New Rebozo several times and have never been disappointed. Excellent food and service. Chef / Owner Paco is amazingly friendly and makes a point to stop by every table to make recommendations and ensure you’re having a great dining experience. I highly recommend! The only thing was that the service was not great. The chef is nice, but his staff brought out the wrong drinks and it was ridiculous. We went for Valentine’s Day, weren’t told there was a special Valentine’s Day menu we were stuck with. Potatoes were not cooked through on the appetizer. Tilapia was not prepared well. Extremely small portions. Went for Valentine’s Day. The only menu available was the prix fix menu. It was reasonably priced for a three course meal. The soup was outstanding however the puff pasty with the potatoes felt out of place as did the vegetarian option of mixed veggies with puff pastry. Repetitive and lacking substance. The portion sizes for the entrees were very small and I saw other tables with chips and salsa and tortillas so I felt the value of the meal was low. The protein sizes were appetizers size. The flavors were amazing chef Paco was the best part of the experience. I want to go back to taste the regular menu and see chef Paco again. Great food. I will come back soon. The chef is very friendly and talks to everyone that enters the restaurant. I would recommend to a friend, but was disappointed at the lack of host service when I first arrived at the restaurant. I had made a reservation in advance and still ended up waiting 30 minutes for a table because there was no host to filter through the line. Therefore, customers that arrived ahead of me but did not have a reservation were seated prior to my group. New Robozo is typically packed during prime hours on Friday and Saturday nights, but the wait was excessive my last visit. Additionally, there's an extremely small waiting area right by the door, which contributed to my waiting displeasure. The best food. Chef Paco specialized the dinner to meet our needs. Paco and his food were great as always! Fun and delicious! The chef is imaginative and knows how to showcase his wares - coming tableside to share the daily specials with us, and checking in with us often throughout the meal. Delicious food and welcoming atmosphere! Paco never fail to deliver fantastic specials in addition to the main menu. We had lobster appetizer, which took us about 30 seconds to finish it was so delicious. Main dishes, complex but not overly done. My new favorite restaurant. The food and drinks were amazing! I know they’re famous for their moles but I absolutely love the steak tampiqueña here. 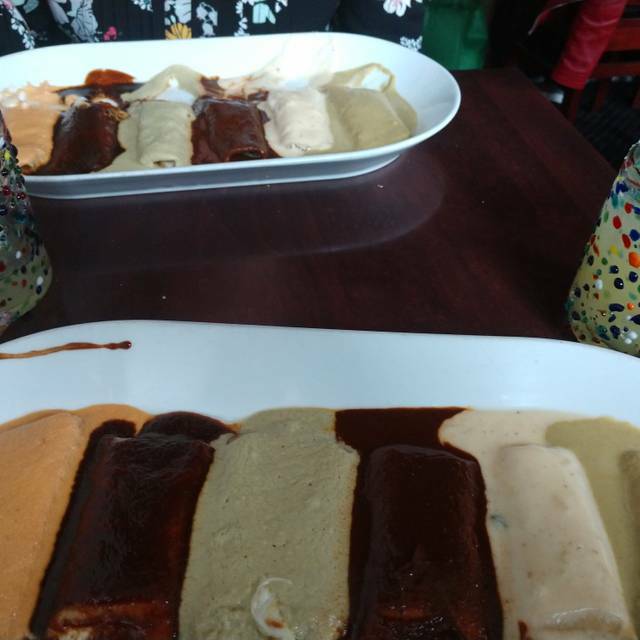 My friend had the fiesta De mole and was also super happy. They also had an amazing appetizer special. I guess what I’m trying to say is everything here is great! Fantastic place to eat. We loved it. The mole was phenomenal. The service was great. We will be returning. I've always left New Rebozo with a smile. Chef Paco's personality, passion and enthusiasm shine as he greets every table and goes over the specials. For the first time in all of my visits, I brought my son and daughter. The day before was my daughters birthday that we spent with family, so wanted to celebrate with a nice, fun meal out. During Chef Paco's presentation of the specials, he asked my daughter (whom he called "preciosa") how old she was. She hesitated for a moment, because of her recent age change, to which we laughed, and mentioned it was her birthday yesterday. Chef immediately informed our waited of my daughters birthday (in Spanish). After dinner, Chef and our waiter came out w/ dessert for the kids and a candle in my daughters and sang her Feliz Cumpleanos. The food was fantastic as well. In all of my times there, I never tried the Chile Nogado... Big mistake - as I've missed out all these years. Its AMAZING! The walnut cream sauce is what dreams are made of, and the texture of the beef w/ the fruits and nuts mixed in is perfect. The kids both loved their food as well (off of the kids menu). The margaritas are not huge, but delicious, and one will definitely get you feeling good. I really don't know how Chef Paco does it... He makes everyone feel so welcomed and like he's known them forever. I don't know if he actually remembers me, but the hug he gave to my family and I on our way out sure made us feel like VIP's. Great fun atmosphere..Oh my God! Dont miss the moles. Amazing food created with passion. Chef Paco is such a brilliant and innovative Chef! Known for his Moles, you have to try them all!